Right off the bat, I have to hand it to this episode’s use of video games as a plot device. I was an avid gamer myself back in the day and thoroughly enjoyed how they used the in-game chat to lure Suleiman out, trying to trick him by posing as his brother. Since we all know his brother’s fate from the previous episode, the entire act hinges on whether Suleiman will buy the ruse. Thankfully, he doesn’t, which makes him come across all the more interesting and engaging, even if the flow of text messaging was more or less predictable. And Electronic Arts would be proud, for the End of Honor video game title is borrowed from their popular war series Medal of Honor. The other bookend of the episode, the opening, mirrored eerie memories of the aftermath of the Paris attacks. Concern all over the world over dead men, women and children, most presumably French. The scale of the church massacre though is pretty huge compared to the real-world attacks that took place and I can’t help but wonder what the world’s reaction would’ve been were this the nature of the attack that occurred. Hanin continues her escape by arriving at Turkey refugee camps, and we’re given another parallel at the refugee crisis that has engulfed the area around Syria and Turkey. From a technical standpoint, the entire setup is pretty extensive and detailed, with camps and people all over the place which, I’m assuming is part-real and part aided by CGI. Despite facing rejection over her Syrian heritage, Hanin’s persistence is eventually able to get her a deal that allows her to be transported to Turkey. Her public acknowledgement of Suleiman as the terrorist is also something that brings her to the limelight. 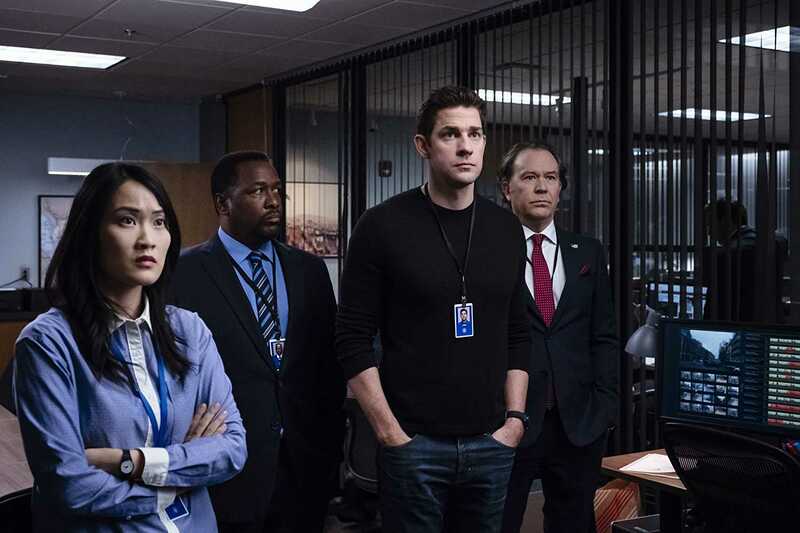 The end again brings out the traditional tropes that Jack Ryan is employing, despite its impressive storytelling. Out of all the people present in the CIA, they had to dispatch Greer and Ryan to extract the wife and the daughters out for interrogation. There’s barely anyone accompanying them during the mission and while I understand it keeps things discreet, it’s also incredibly cliched that somehow the only two men available for the job happen to be the show’s leads, instead of being part of a team dispatched. Quite surprisingly, most of the plot unfolding around Ryan’s own narrative has been packed with cliches and good old parlor tricks. As a result, very little about Ryan has emerged as a personality. In contrast, most other supporting characters feel like real people with traits, flaws and problems of their own. Hopefully it’s because they’re taking the slow route with Ryan, seeing as he’s going to be the protagonist in future seasons as well. The supporting cast meanwhile, has only this season so the writers ought to make the most of their time. At this point Jack Ryan is positioning its pieces and laying the stage for a well-coordinated showdown. It’s highly possible that Hanin is instrumental in taking down Suleiman, as a form of poetic justice for the egoistic Muslim man. Or, in a tragic twist of fate, he might be forced to take down his own wife and this time, he may very well not hesitate to do so. Whatever ways the CIA end up utilizing her services, one thing’s clear: this is not going to end well for a lot of people involved.